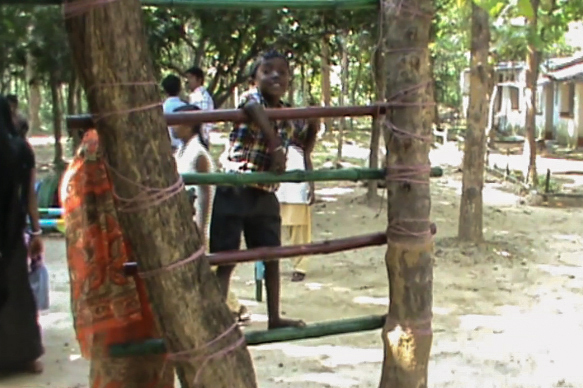 These videos are showing the existing situation at a charitable health centre in a very underdeveloped and neglected region of north-eastern India, and the efforts to treat and help the many disabled children there. It also reflects the lack of financial resources and of highly skilled staff, with the resulting limitations in diagnostic and therapeutic methods. The videos were made out of the wish to convey from the perspective of a paediatrician the knowledge of the normal development of a child and of its disturbance by cerebral palsy. 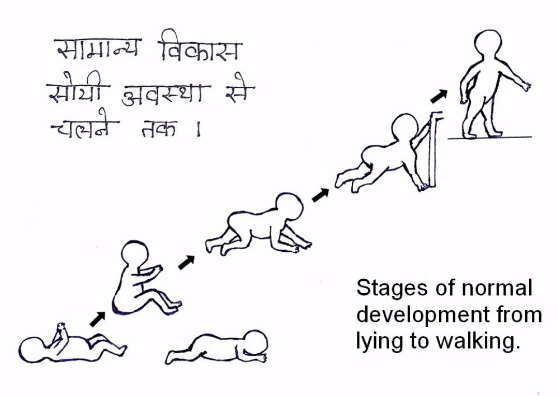 They aim to sharpen the perception of the parents and staff of the capabilities and needs of a disabled child, of pathological movement patterns and of the risks of abnormal development. These videos do not deal with the therapy of cerebral palsy, but rather reflects the existing situation and the observed habits in dealing with disabled children at the health centre. In view of the complexity of the subject matter and of the limitations regarding time, technical means and instructive visual material while making the videos, they are far from being perfect or complete. However they can and should give suggestions about how one can deal with disabled children in day to day life, so that their development is improved and additional damage can be prevented, and last but not least so that the children feel comfortable and safe. The basis for this, apart from the conveyed knowledge, is also the ability to see and respect the child as an individual person from a holistic perspective - physically, mentally and socially. We created two versions, one is directed towards staff and volunteers showing a more in-depth look at caring for children with cerebral palsy, the other video is a little shorter which we focused more towards the parents and guardians needs in caring for their children.